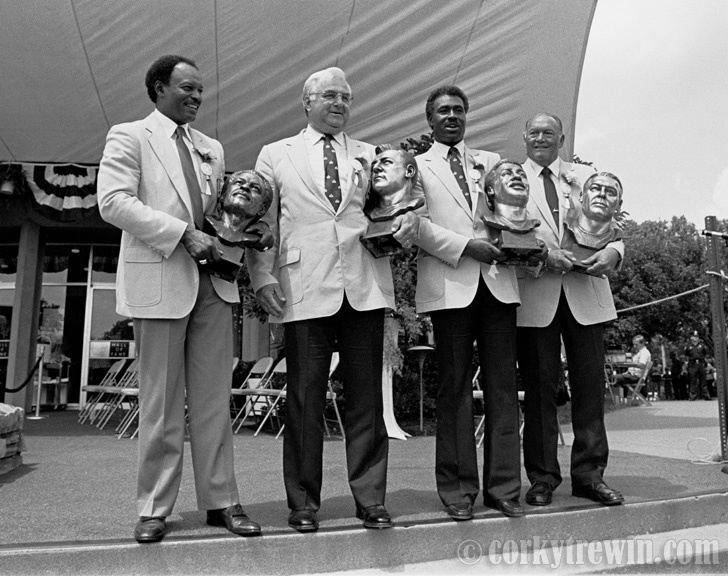 Seattle Seahawks General Manager Mike McCormack became the first Pro Football Hall of Fame inductee with Seahawks ties when he was inducted at ceremonies in Canton, Ohio, July 28, 1984. Inducted along with McCormack were Willie Brown, Charlie Taylor and University of Washington standout tackle of the WW II era, Arnie Weinmeister. This entry was posted in NFL, Seattle Seahawks and tagged Arnie Weinmeister, Charlie Taylor, Hall of Fame, Mike McCormack, Willie Brown.